Meet the Etch-A-Snap, the Frankenstein’d creation of self-taught programmer Martin Fitzpatrick. 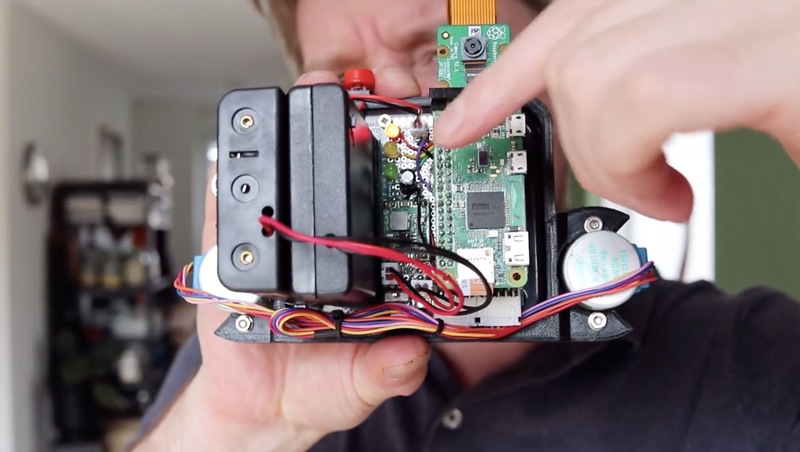 As the name alludes to this creation is the result of mashing together a Pocket Etch-A-Sketch, a Raspberry Pi Zero, and onboard camera module, a couple servo motors and a number of other goodies to create what is ‘probably’ the world’s first Etch-A-Sketch camera. The photos captured with the onboard camera are shrunk down to a 240×144 pixel image and converted to a 1-bit black and white color palette. Once processed, the resulting image is then processed and subsequently converted into plotter commands. 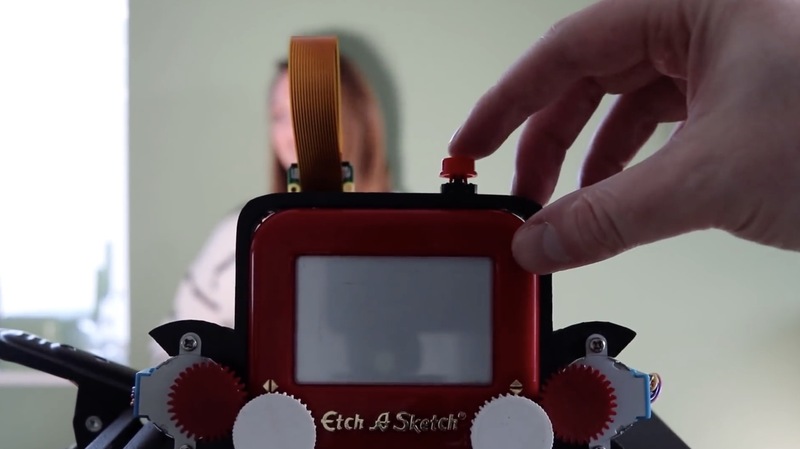 Those commands, which look a bit like an Etch-A-Sketch drawing on their own, are then converted into an analog Etch-A-Sketch image through two 5 v stepper motors that are mounted into a custom 3D printed frame. The Etch-A-Snap is powered by four ‘AA’ batteries and three 18650 LiPo cells, making it a self-contained unit that can be carried around (although not easily, based on the looks of it). According to Fitzpatrick, it can take anywhere from 15 minutes to one hour to create a sketch, depending on the complexity of the photo. He says the device now runs at 20 pixels per second, a dramatic improvement over the two pixels per second it was running at in earlier tests. In addition to the above clips, Fitzpatrick has also shared a number of photos and videos on Two Bit Arcade explaining the process. If you’re feeling brave, he’s also provided all of the materials and assets he used to create the device at the bottom of the post. It isn’t for the faint of heart though from the looks of it, not to mention you’ll need access to a 3D printer.